Venture deep into the dark woods, fighting dangerous eyeshrooms, giant spiders, sand wurms to defeat the final boss of the Forest of Shadows. 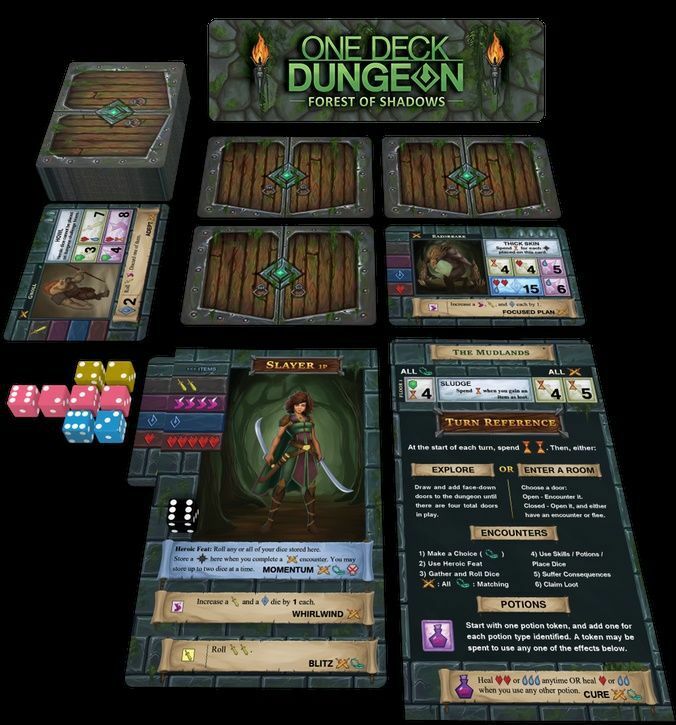 One Deck Dungeon is a “roguelike” card game where players take the role of adventurers delving into a series of monsters and perils. 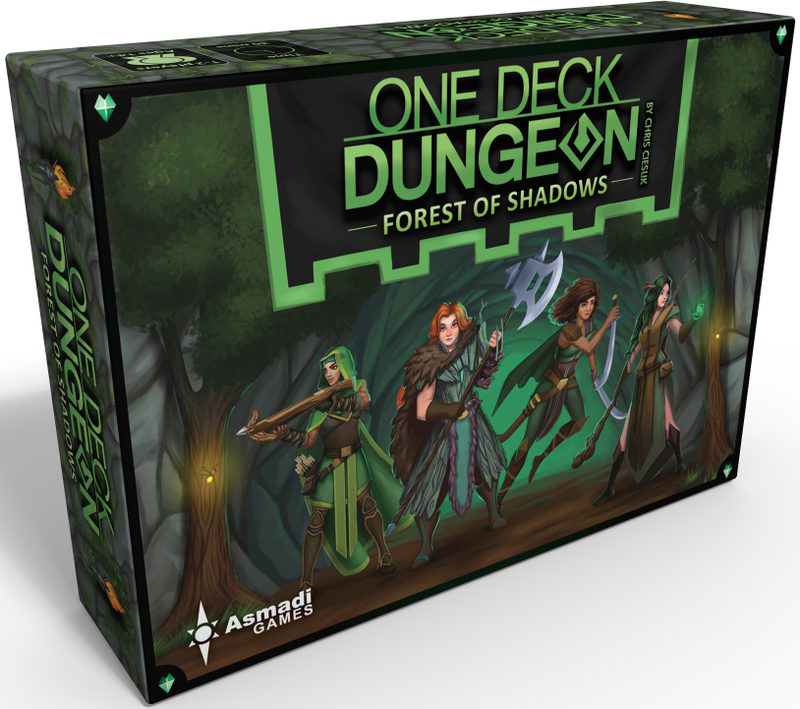 Forest of Shadows is a stand-alone expansion which can be played as its own game or mixed with the base One Deck Dungeon game. Cards are revealed to show various monsters and perils of the dungeon. A hero gains various dice through her skills and abilities. In each encounter, the heroes will use these dice to attempt to cover as many of the challenge boxes as possible. Boxes that remain uncovered will harm the hero after the encounter. 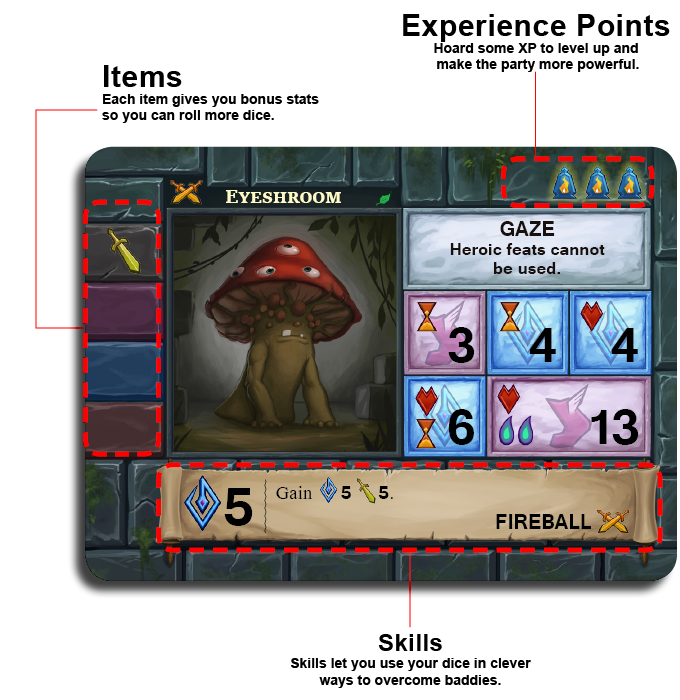 Defeating a card allows the player to claim it as their own, either as experience, an item or skill or as a new skill. The longer the players stay within the dungeon the more loot and glory they stand to gain, but the more they risk not making it out alive. Forest of Shadows contains new heroes, perils, monsters, and mechanics like Poison. Poison damage accrues like normal damage does, but the poison damage cubes are limited and if the players run out of poison tokens, they lose the game! 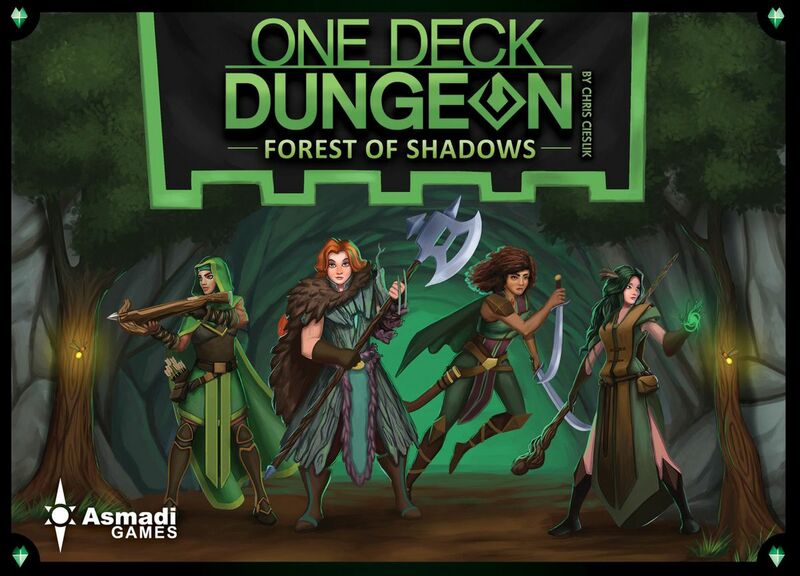 One Deck Dungeon returns with Forest of Shadows, featuring adventures in all-new lush yet deadly locales. A vast network of mossy underground tunnels and connected forest areas await your adventurers! Forest of Shadows is a stand alone expansion that you can play on its own or in combination with the original.